On July 12th 1760, the Newcastle Courant reported that, thanks to a donation of 150 guineas by the Earl of Tankerville, the 'Wooler licenced work-house for the poor of Northumberland' was now fitted to lodge and employ the whole poor of the county. Subscribing parishes paid 18 pence per week for each pauper placed in the workhouse. Each inmate would receive proper care and clean bedclothes and linen, with the charge for their maintenance being reduced in proportion to the work he or she performed. A parliamentary report of 1777 recorded parish workhouses in operation in Carham Parish (for up to 30 inmates) and Wooler Parish (56 inmates). Northumberland: Akeld, New Bewick, Old Bewick, Brandon, Brankston, Branton, Carham (2), Chatton (2), Chillingham, Coldsmouth, Coupland, Crookouse, Doddington, Earl, Ewart, Fawdon, Ford, Greys Forest, Hambledon, Hawtell, Hebburn, Hetchpool, Ilderton, Ingram, Kilham, Kirknewton, Lanton, East Lilburne, West Lilburne, Lowick (2), Milfield, Middleton, North Middleton, South Middleton, Nesbit, Newton, Paston, Reavely, Roddam, Rosedon, Selby's Forest, Westnewton, Wooller (2), Wooperton, Yeavering. The population falling within the union at the 1831 census had been 13,856 with parishes and townships ranging in size from Crookouse (population 20) to Wooler (1,926). The average annual poor-rate expenditure for the period 1834-36 had been £5,683 or 8s.2d per head of the population. 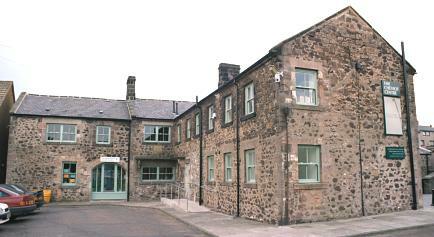 Glendale Union workhouse was erected in 1839 at the south of Wooler High Street. In 1838, the Poor Law Commissioners authorized an expenditure of £1,500 on for the construction of the building which was to accommodate up to 70 inmates. The two-storey building had a simple cruciform layout which created four yards for the different classes of inmates. Glendale from the north-east, 2001. Glendale from the south, 2001. 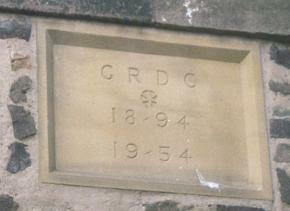 The building was used from 1894-1954 as the headquarters of Glendale Rural District Council and was thereafter used as an archaeology centre and then as a Field Study Centre. The building has recently been refurbished as a Community Resource Centre. Plans for its use include a permanent exhibition to celebrate the life of Josephine Butler the Victorian social reformer. She was born in Glendale and lived her last years in Wooler. She is buried in Kirknewton Churchyard. Although she achieved great reforms, she is not remembered as well as she deserves. The former workhouse is an appropriate place in which to celebrate her life as she spent much of her time trying to improve the conditions in workhouses for women. Berwick-upon-Tweed Record Office, Council Offices, Wallace Green, Berwick-upon-Tweed TD15 1ED. Holdings: Guardians' minutes (1853-87); Letter book (1897); Service register (1897-1930). Thanks to Tom Johnston for information on Glendale and its refurbishment.